At our city centre workshop out qualified and experienced cycle mechanics can perform every tyle of repair or service to your electric bike or bicycle – often with same day service! 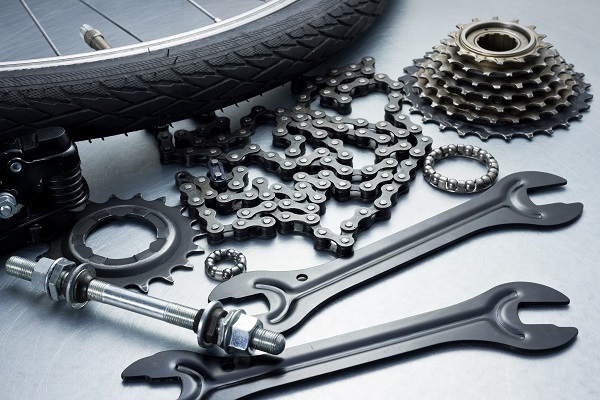 From our Granby Street showroom and workshop in Leicester city centre we can undertake all types of cycle repairs, maintenance and servicing. Whether you need us to fix a flat tyre or undertake a full annual service you can bring your bike to us and we will sort it out. If you work in Leicester city centre we can (by appointment) collect from and return to your place of work for an extra £10 service charge, so you can carry on cycling without missing a day! Please clean your bike before you bring it to us as we will charge full mechanic prices if we have to clean your bike.